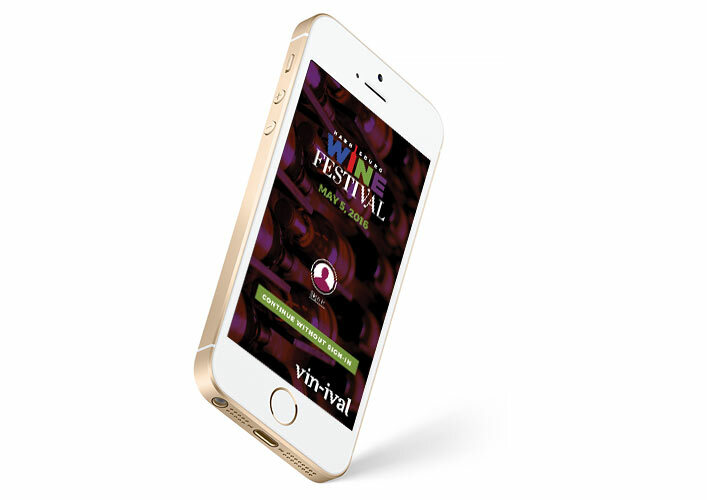 Vin-ival is a mobile app that serves as a companion to Wine Festivals, providing an enhanced experience for attendees, vendors and event coordinators. This project was done in coordination with Springboard UX Design Workshop and pulled research done at Journal Multimedia Wine Events. 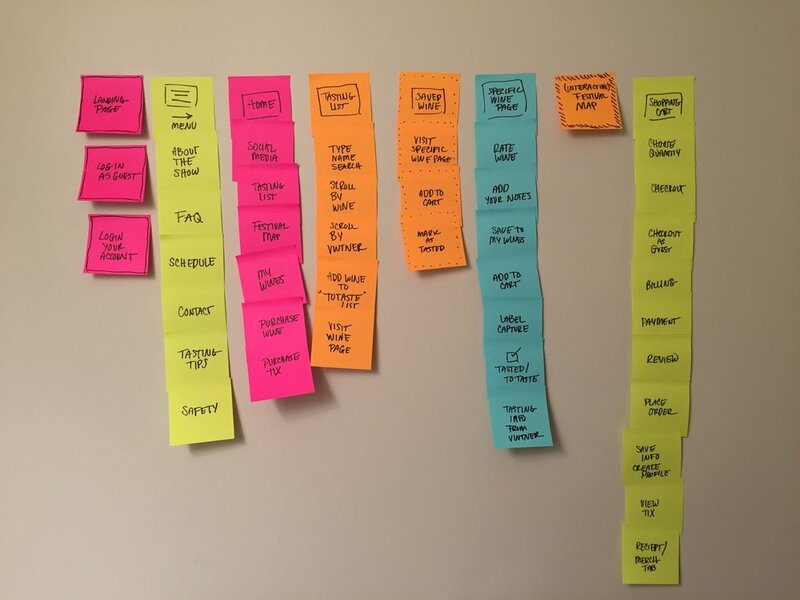 Deciding on the tasks that each user would utilize on the site was best visualized through the use of sticky notes (who doesn't love these things?). 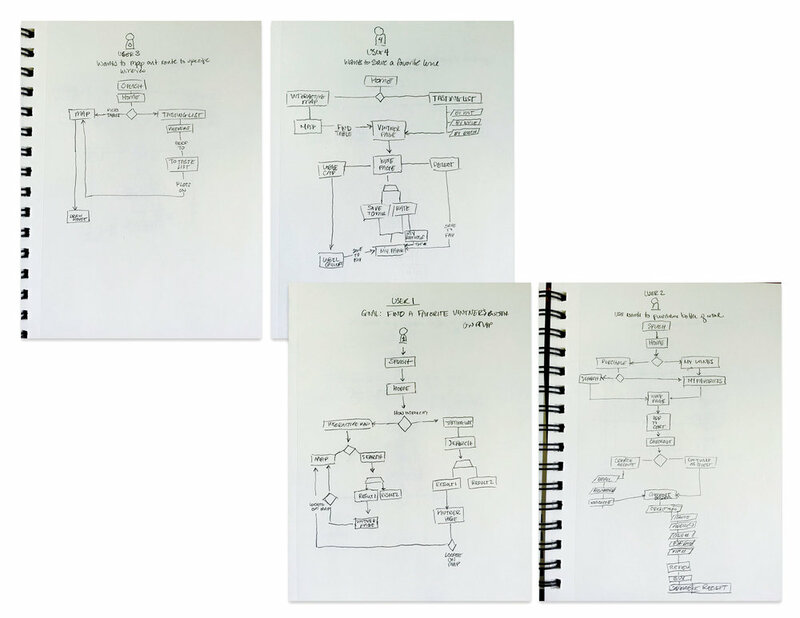 Getting the information in front of me allowed for quick changes, page organization, continuing iteration and kept a check on any tendency to add in too many features. 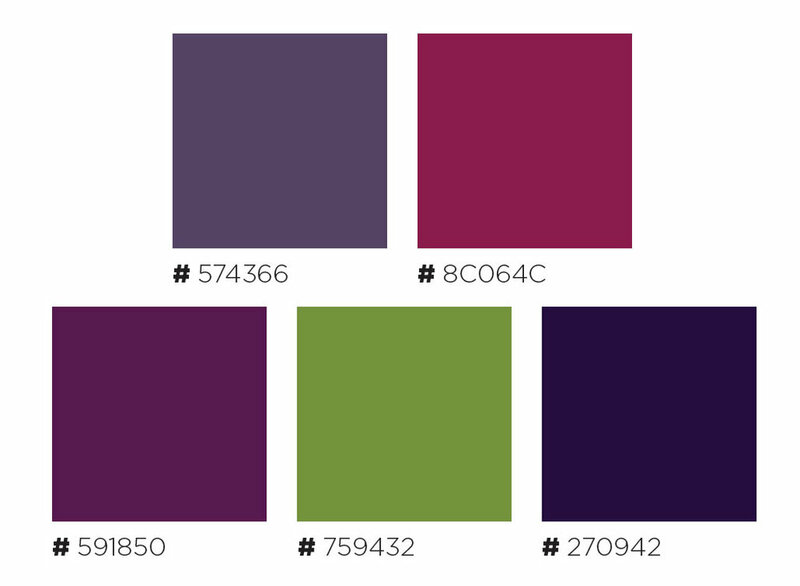 Tracing each step that a user would or could use to achieve their objective gave me a clear idea of what steps could be streamlined and help pick out places that could become trouble spots. Finding the easiest way to navigate the user around these issues became a focus and help to guide the user flows which would help structure the functionality of the experience. Sketching is an important part of my design process. 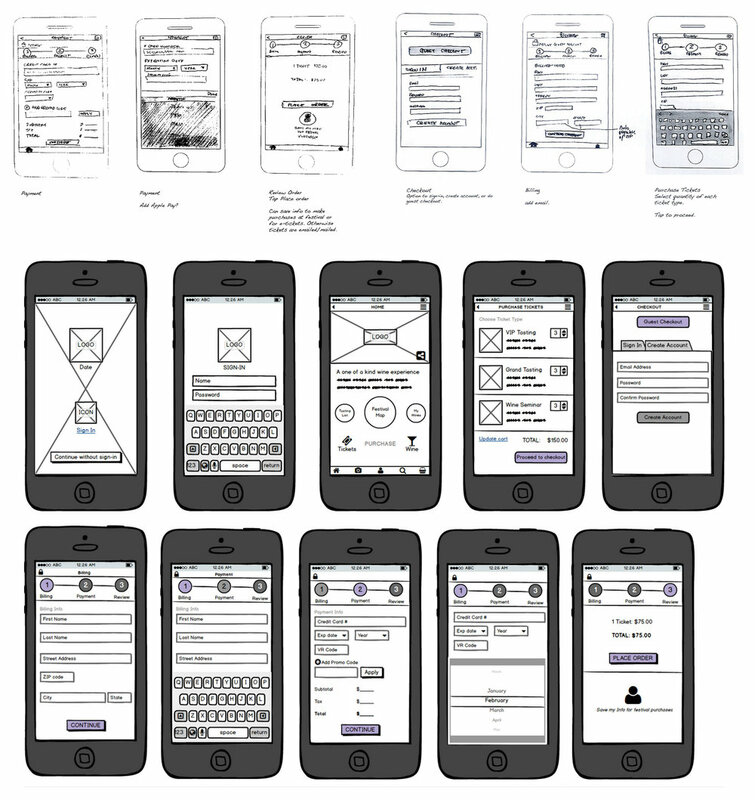 Digital mockups were created using Adobe Illustrator.